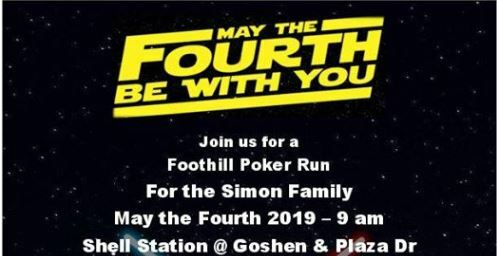 Come out for a fun ride through the foothills to help a family who is affected by a variety of health issues. More information on their story will be shared in the event and on Riding 4 a Reason's page. Click on the Event Cover Photo for the detail poster. 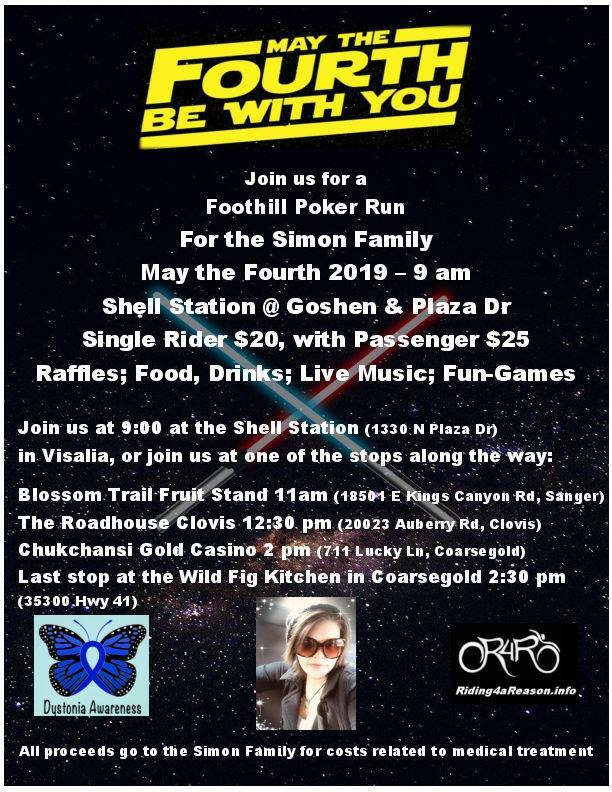 If you can't meet us at the Shell Station on Plaza Drive in Visalia at 9 am, you can meet us at one of the stops on our way up to Coarsegold. All stops are listed on the Event Flyer. The end party at the Wild Fig Kitchen in Coarsegold will start at 2:30 pm with food, drinks, live music, fun and games. Rooms will be available at Chukchansi Gold Resort & Casino.